Do Your Cleaning Products Actually Work? 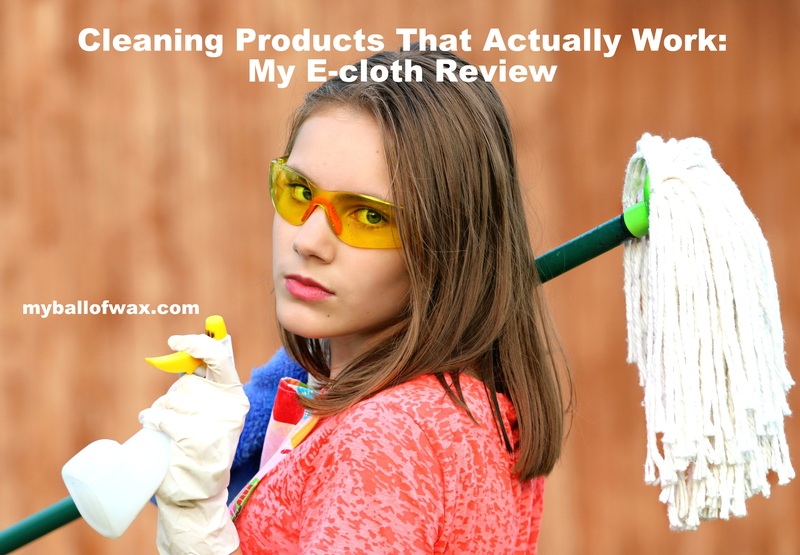 - E-Cloth Inc.
Do Your Cleaning Products Actually Work? Kids leave in their wake little reminders of their existence. Greasy fingerprints on windows and glass doors; dirt on walls; squishy stuff on the floor. Should we continue? The one thing you’ve probably mastered as a parent (maybe the only thing) is yelling at your kids to clean up after themselves. Michele at My Ball of Wax has the same problem. Below is a reprint of her review of how the Deep Clean Mop and Glass & Polishing Cloth have come in handy for her. Have you ever had that feeling of dreadful wonderment after stepping on mysterious sticky red gook on your kitchen floor? Or what about finding little fingerprints emblazoned on the mirror that you just wiped ten minutes ago? Welcome to parenthood, my friends. Children definitely find creative and unique ways to make housecleaning…well…interesting. But whether you have children or not, household chores are generally not pleasurable. So, when I find valuable tools that help to clean these unfortunate messes, I like to share them with the masses. Enter e-cloth. 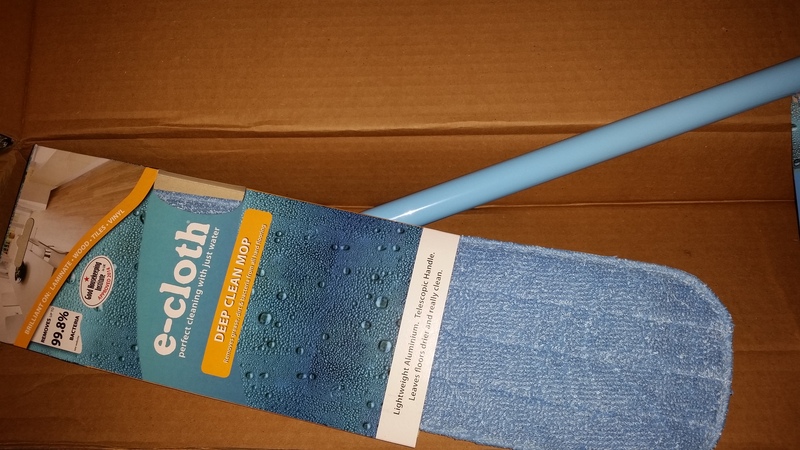 I recently tried e-cloth’s deep clean mop, as well as the e-cloth glass and polishing cloth. And I am thrilled with the results! As some of you may know from my last review, my beloved steam mop is petering out, and I have been looking to replace it. So, finding the e-cloth mop was quite timely. First off, I love chemical-free mopping, so even though the e-cloth mop isn’t a steam mop, it uses the same “just-add-water” concept. In addition, one of my favorite features about this lightweight mop is the adjustable handle. I can’t even begin to describe the backaches that have resulted from using mops that are not appropriate for my height (and I’m only 5’1”). But the e-cloth deep clean mop adjusts from 33″ to 63″, so it can be a perfect fit for just about anyone. Add that to the fact that you can use the same mophead for 300 machine washes, and you have yourself the perfect cordless mop! Yeah, but does it work? Quite impressively! Remember that syrupy red gook I referred to earlier? Completely gone in seconds with the e-cloth mop! Take a look at the video below! And e-cloth doesn’t only make a great mop. The company also offers a wide selection of cleaning products, like pet care, baby care, eyeglass and electronics cleaning cloths, car products, and glass and polishing cloths. Although I am partial to my recent discovery of Pella window cleaner, I am also a huge fan of the e-cloth polishing cloths. After simply removing the cloth from its packaging, all I had to do was wipe my mirror. And the smudges were instantly gone. No product to spray and no paper towels to continue to purchase! See my video below! So, if you are interested in a chemical-free product that is proven to remove over 99% of bacteria, I would highly recommend e-cloth!